Tickets to this evening of “Nancy Shoop-Wu on the Rainbow Road” are $30 general, $25 for HPR members, and $15 for students with ID. Online reservations at www.hprtickets.org include a service charge. Seats may also be reserved by calling the station (955-8821) during regular business hours. The Atherton Studio is located at Hawaiʻi Public Radio, 738 Kāheka Street. Doors open at 7:00 p.m. Light refreshments will follow the concert in celebration of the release of Rainbow Road. Nancy Shoop-Wu began her musical life in Connecticut, where she began playing the violin at the age of nine. A graduate of the Yale School of Music, she began her professional career playing in symphony orchestras, landing a position in the Filarmonica de Caracas when she was just 20 years old. After moving to Hawaiʻi to accept a position in the Honolulu Symphony (now Hawaiʻi Symphony), she began to explore a broader musical world as a member of the Honolulu Symphony Pops Orchestra. Inspired by the rich musical world of Hawaiʻi, Nancy found her unique voice as a composer when she began combining her love of Hawaiian, new age, and western classical music. 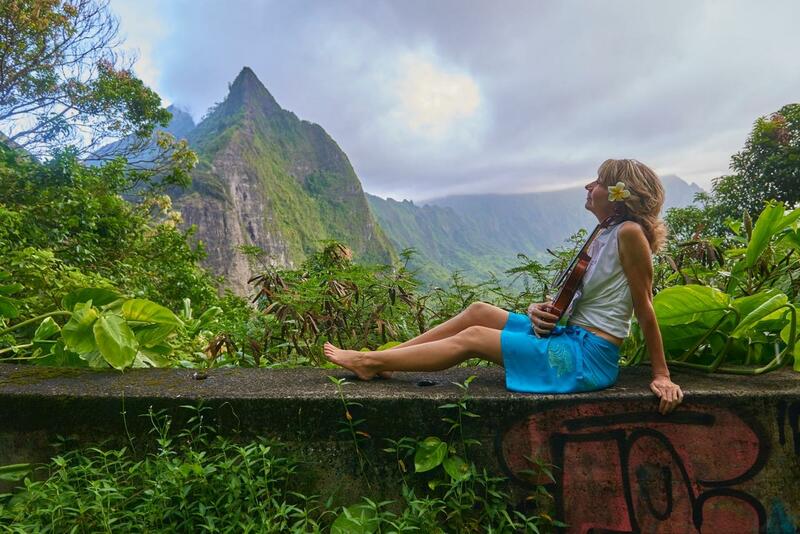 Her original island-inspired songs also feature top Hawaiʻi musicians Jeff Peterson, Ian O’Sullivan, Dean Taba, Garin Poliahu, and Los Angeles arranger, producer and pianist Derek Nakamoto. Nancy has recorded two solo CDs -- Beautiful Mana'o and Rainbow Road -- which are available for sale on itunes, Amazon.com and CDBaby.com. They will also be available for sale at the May 21 Atherton CD-release concert.